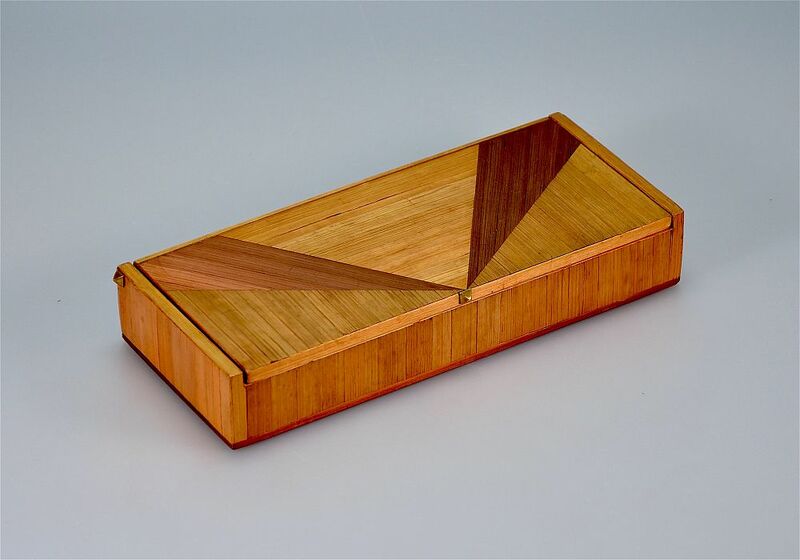 This wonderful box was made by the French designer Jean Michel Frank in the 1930s. 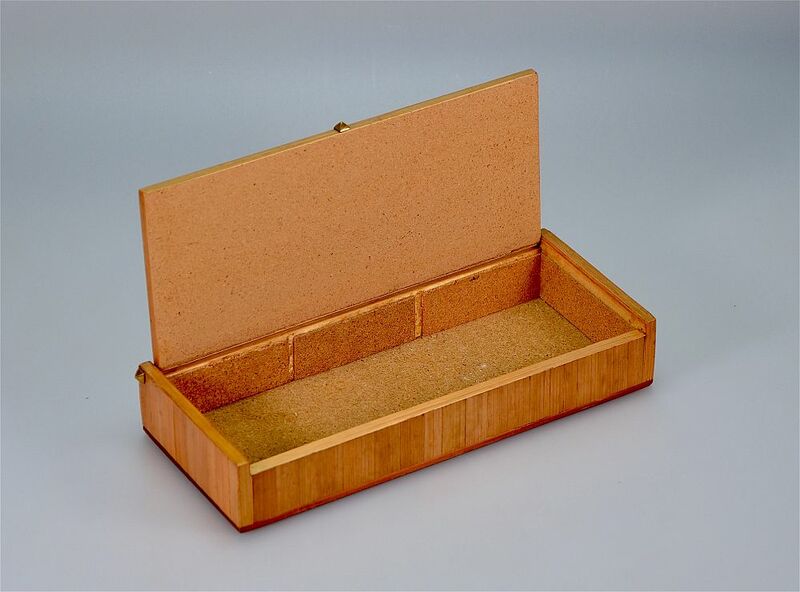 It is smaller and more rectangular than the other Frank straw box that is on the site and with a simpler pattern but no less magnificent. Made of straw over wood the top has a geometric design reminiscent of sunrays in three different coloured straws, the large middle inverted triangle section being "straw" coloured, the two sections either side being much darker and the next two flanking triangular sections being caramel coloured. The hidden hinge is capped with pyramid shaped brass coloured metal finials which is repeated in the catch. The interior is lined with cork and the base has the original faux leather covering.